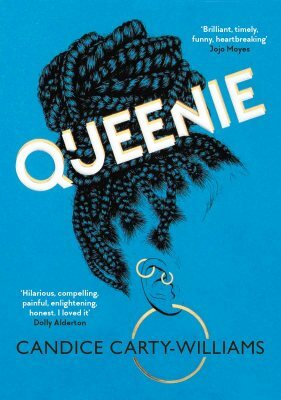 Caught between the Jamaican British family who don’t seem to understand her, a job that’s not all it promised and a man she just can’t get over, Queenie Jenkins’ life seems to be steadily spiralling out of control in Candice Carty-Williams luminous debut. A novel that asks what it means to be enough in a world always clamouring for more, Queenie captivates from the opening page. By turns hilariously funny, dramatic and tender, with a heroine to root for, it is one of the year’s most unmissable debuts. Queenie Jenkins can't cut a break. Well, apart from one from her long term boyfriend,Tom. That's definitely just a break though. Definitely not a break up. Stuck between a boss who doesn't seem to see her, a family who don't seem to listen (if it's not Jesus or water rates, they're not interested), and trying to fit in two worlds that don't really understand her, it's no wonder she's struggling. This a gorgeous, hilarious, moving portrait of a young black woman's life in South London. I'm so in love with Queenie. I want her to be my best friend!